Dr. Heather Haley, MD is a Doctor primarily located in Fairhope, AL. She has 21 years of experience. Her specialties include Dermatology and Legal Medicine. She speaks English. Dr. Haley has received 3 awards. The overall average patient rating of Dr. Heather Haley is Excellent. Dr. Heather Haley has been rated by 67 patients. From those 67 patients 52 of those left a comment along with their rating. The overall rating for Dr. Heather Haley is 4.5 of 5.0 stars. Legal medicine specialists advise on a variety of laws and regulations regarding health care and public health. This include disability claims, hospital law, privacy laws and physicians’ obligations and liabilities. They typically have a medical degree and a law degree so they're able to address specific legal issues that apply to medical professionals, hospitals and clinics. Compared to forensic medicine, which deals with determining cause of death in criminal investigations, they deal with issues that impact patient care and they’re also typically involved in assessing illegal substance use in athletes. We are sorry, it looks like we don't have insurance information. Please call Dr. Heather Haley's office for more information. 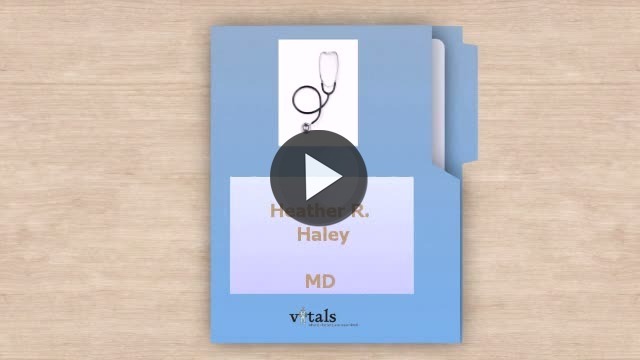 Take a minute to learn about Dr. Heather Haley, MD - Legal Medicine in Fairhope, AL, in this video.